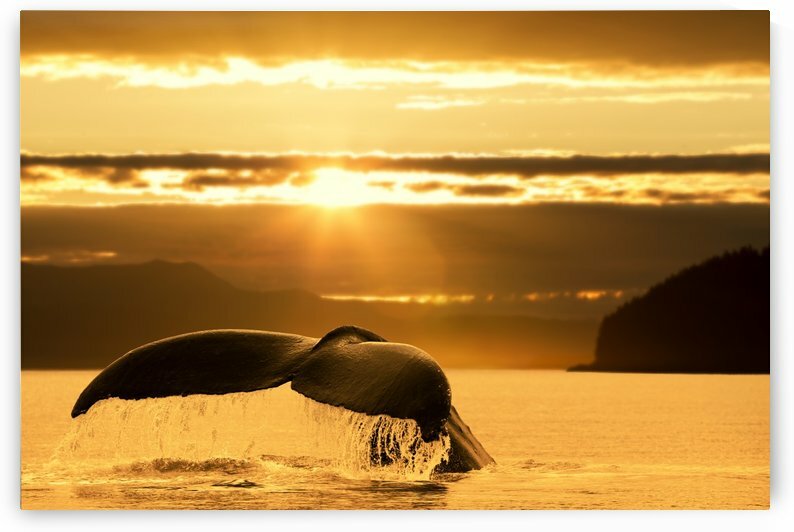 A Humpback Whale returns to the depths of Alaska's Inside Passage as the sun begins to set, Stephens Passage, near Juneau. 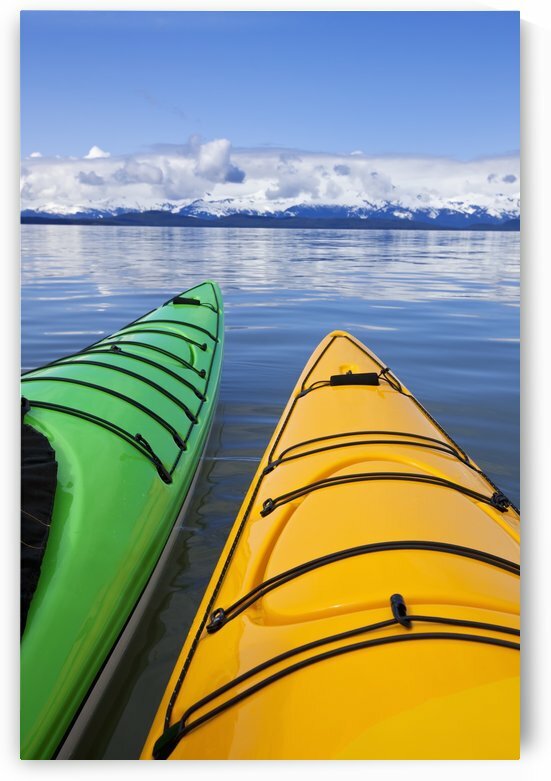 Kayakers enjoy a tranquil morning paddle in Lynn Canal, Alaska, near Juneau. Chilkat Mountains beyond.